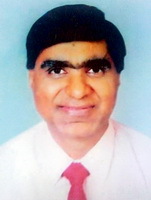 • Dr. Ashwani Kumar Vij - President - Recruitment / Search is Founder of : 7 Hill Sales Recruitment Headhunter : is an Independent Home based Recruitment Headhunter and Executive Search / HR Consultant and Headhunter / Top Mgmt and Top Sales Job Search Advisor for Many Select Industries / Sectors and has been providing Industry Specific and Customized Hiring and Recruitment Solutions and Leadership / Managerial Talent to Functional and National Sales Heads / GM / CXOs / Director / Top Mgmt Level Professionals since the year 2002. He focusses on overall Business Development, Assignment Execution , Client Relationship , Servicing and Top Mgmt / CXO / GM / Senior Mgmt / Regional Sales Heads Level Searches. • Dr. Ashwani Kumar Vij has spend more than 30 Years of experience in the Corporate Sector / Fortune 500 MNCs / Recruitment Consulting and has worked for TATA GROUP, BPL- SANYO ( Now part of Panasonic Group - Japan ), Modi Xerox , Macmillan India Limited ( Worlds Largest and UK Based MNCs Publishing and Media House) in various Business driven roles as Sales Manager and as Assistant Director with a leading Govt Sponsered-Export Promotion Council (Under Ministry of Commerce) and has won many Honor of Appreciation / 2 Awards. (a) Product of Delhi University and a Qualified MBA (Two Years Full Time) from The Indian Institute of Planning and Management (IIPM), affiliated to International Management Institute ( IMI) , Europe. (b) (Degree) Qualified / Registered Holistic and Alternative Medicine Science Doctor (Naturepathy and Yoga) from an West Bengal based Institute which is Legally Registered and Internationaly recognized by UNESCO / UNICEF / WHO / Govt. of West Bengal having ISO -9001-2008 Certification. • He posess rich, diverse and extensive experience in Product sales, Channel Management, Business Consulting strategy, Business Presentations and Marketing Execution strategies for handling MNCs, large and Major Account / Tendering / Project / Govt. / PSU selling. He possess strategic mind set and a deep understanding of Managerial talent and technology and business processess and Changing Industry trends and Social Media and Online / Internet Search Technologies and can be trusted for handling Top Mgmt / Director / CXO / GM / National Sales Head and Functional Heads / RSM level assisgnments. In spite of having small set up / infrastructure , he has developed the satisfied client base of well known organisations and presently serving , interacting and working with 95 + Pvt / Ltd / Mid - size Orgs and MNCs and Large MSMEs. and was selected by Hindustan Times Newspaper for featuring in their HT Career ( Under Executive Search Column ) as Leading HR / Placement consultant for handling Top / Sr Mgmt / GM etc Level Positions. • His Corporate Advisory Board Team and Panel of Industry / Functional Specialist consists of Ex-IIT, MBA (FMS - DU, IIFT, Bhartiya Vidya Bhawan - Delhi) and Corporate Finance / CA / Company Secretary Professional having Senior Management level multifunctional experience of working with HCL, Birla, BHEL and Dalmias , L&T and Top / Sr. Mgmt level Professionals from the Telecom / ICT / Power/ Infrastructure / BFSI / Diversified etc Sectors / Industry. These Organisations / Associations have Global Overseas Network and affiliations with many overseas / USA / UK / South East Asia / Middle East based HR / Training and Development Organizations. • His interests includes : Long distance walk , Gardening , Yoga and Meditiation , Playing cricket and chess , Reading books on Spirituality , Managerial effectiveness , Talent Development / Retention , Leadership , Performance Mgmt , Business Turnaround , Growth strategies of MNCs / Mid - Size Orgs / MSMEs / SMBs. He is an avid music lover and prefers to spend quality time with family (Wife is Lecturer and Life Member of FICCI - FLO - New Delhi Chapter ). He is Teatotlar , Non-smoker and Vegetarian , Spiritually inclined and a Peace loving person. • He is considered as one of the Prominent Career Mgmt / Top Job Search Advisor and Analyst and Mgmt Advisor and Thinker and Strategist for recommending Top Mgmt / Board / CXOs etc Positions and Opinion Leader in the HR and Recruitment / Search Industry. • He is being regularly invited as a Special Invitee / Delegate / Guest for Top Mgmt / Director / CEO / CTO / CFO etc - Meets / Conclave / Summits and world /International / Global - Leadership / Corporate Governance / HR - Conferences / Seminars / Workshops / Forum and Technologies / Mobile / Electronics / Power / Energy / ICT / CD / Infrastructure / Engineering etc events / Awards Functions / Exhibitions / Professional Networking Meetings etc to share his ideas and thoughts.